On Saturday October 18th, guest bartenders Jim Stone and Paula Meisler will be slappin around you bastages while The Whiteouts, Betty Machete and the Angry Cougars, and Children of Reagan, and us will be kickin you in the gut. Come on down. 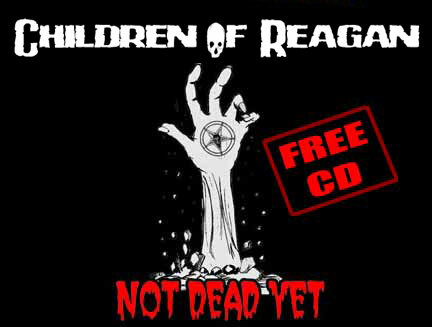 Click on the image to download our full Not Dead Yet release for FREE! We are still going strong. Hopefully we can get this going again, but in the meantime, check us out on Facebook or ReverbNation.